Social and affordable housing - the case of the shoemaker and the elves? The news that a mere 64 new homes were delivered under the Part V in 2015 is certainly lower than expected and illustrates one aspect of why the housing crisis is so severe. The move by government to effectively privatize the provision of social and affordable housing via Part V of the Planning and Development Act 2000 must be considered as a factor in bringing the housing market to where it is today. Rather than being the sole mechanism of providing social housing it should complement local authorities building programs. To do otherwise makes this market completely dependent on economic conditions. The numbers do not lie here either. In better economic, the numbers of Part V housing were in the tens of thousands while in the five year period from 2011 to 2016, the numbers are reported to be a mere 807. Exemptions have increased to developments of 9 or less houses or for land on less than 0.1 hectares. The transfer of land subject to planning permission remains. Granting long term leases of properties. Cash payments in lieu of social housing have been abolished. Transfer of partially serviced sites or land without planning permission has been abolished. The latest figures from the Department of Housing show that output of new homes increased by 35% year on year which is the highest volume produced since 2010. 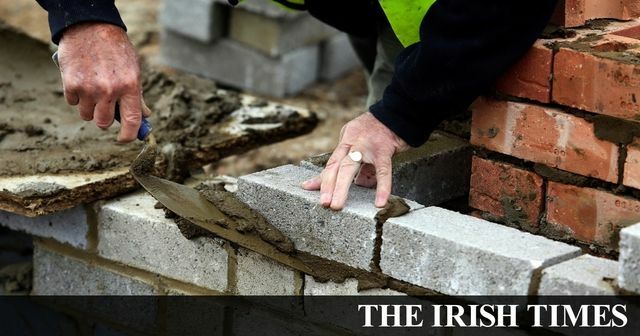 It seems that the Government’s strategy in delivering 4,700 social and affordable housing in the next five years is heavily reliant on a buoyant and improving construction sector. The 64 Part V homes delivered in 2015 suggest that achieving this target will require a form of alchemy not yet created. Perhaps it is a case of the shoemaker and the elves? So-called Part V planning regulations, which require developers to set aside 10 per cent of new homes for use as social housing, delivered just 64 new dwellings in 2015, according to the official data.